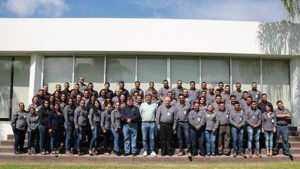 BIOBEST ACQUIRES MEXICAN DISTRIBUTION AND JOINT VENTURE PARTNER DISTRIBUCIONES IMEX S.A. DE C.V.
Biobest and Distribuciones IMEX today announced that Biobest has acquired a 100 % equity stake in IMEX. IMEX is a well-known Mexican distributor of environmentally friendly solutions for plant health and pollination, serving the countries’ growing horticultural industry. Biobest and IMEX started collaborating in 2002 with IMEX importing bumblebees from Biobest’s Canadian operation. They became joint venture partners in 2008, setting up Biobest Mexico SA de CV, a company producing bumblebees and beneficials with IMEX distributing these products in the Mexican market. The transaction reflects Biobest’s confidence in the growth potential of sustainable horticulture in Mexico.